Fiji’s undefeated middleweight boxer Sili­veni Nawai will fight Beau O’Brien of New Zealand in Nadi on June 23. 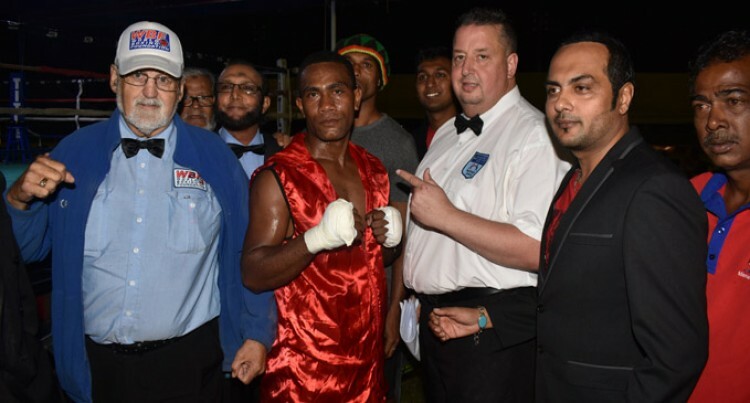 The two will battle for the World Boxing Foun­dation middleweight title over 10 rounds in the Canada Fiji Southern Boxing Promotions ban­ner. Last Saturday in the Best Boxing Promotions, Nawai defeated Ulaiasi Qalomai by TKO in the fourth round. “I was confident of beating Qalomai but my fo­cus is on the June fight. The Tubenasolo, Nawaka, Nadi native has a record of 11 bouts win since his debut in 2011. O’Brien, 27, has seven bouts (5 wins, a loss and a draw) under his belt since his debut win over James O’Conner in 2012.